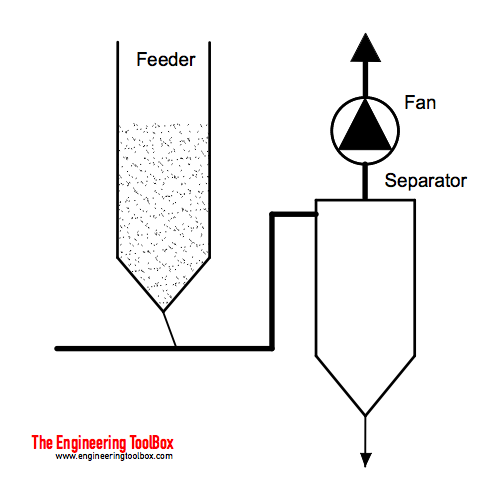 Some common solids as flour, sugar, cement and many more, can be suspended and transported in air - referred to as pneumatic conveying. 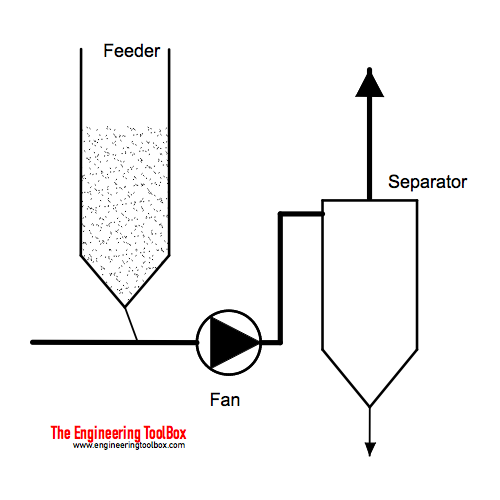 A pneumatic conveying system may transport solids up to approximately 50 mm in size. The powder or solid must be dry with no more than 20% moisture and not sticking. In general - the length of a pneumatic system should not extend 300 m for each pneumatic unit. Products can be conveyed over long distances by connecting systems in series. Pneumatic systems can operate with both positive and negative pressure (vacuum). The working pressure should not extend 40 kN/m2. Maximum temperature rise during the pneumatic compression is seldom more than 5oC which makes pneumatic transport systems suitable to sensitive products like medicines, food and similar. Engineering ToolBox, (2003). 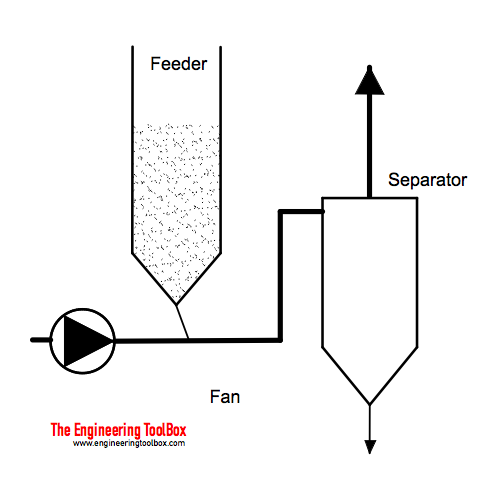 Pneumatic Powder and Solids - Transport Systems. [online] Available at: https://www.engineeringtoolbox.com/pneumatic-powder-transport-d_133.html [Accessed Day Mo. Year].